Bird Key real estate features this gated community of 510 luxury single-family homes, which is located between Downtown Sarasota and St. Armand’s Circle. Within a few minutes drive over the John Ringling Causeway Bridge brings you to the city life of Downtown Sarasota. Just as close is also the world class shopping and restaurants of St. Armand’s Circle and the beaches of Lido Key. 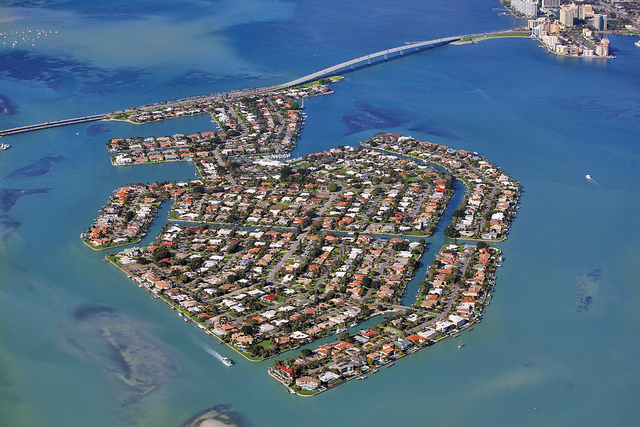 Bird Key has become known as a boaters paradise because of the many homes that are located either directly on the bay waters or in deep water canals. Just look at this picture above. 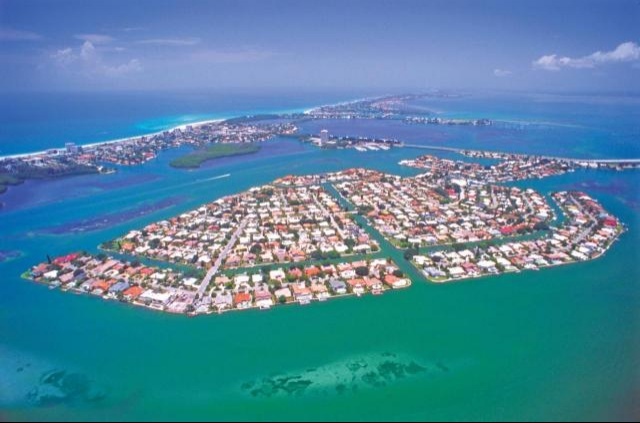 Over 300 homes are waterfront properties on Bird Key. 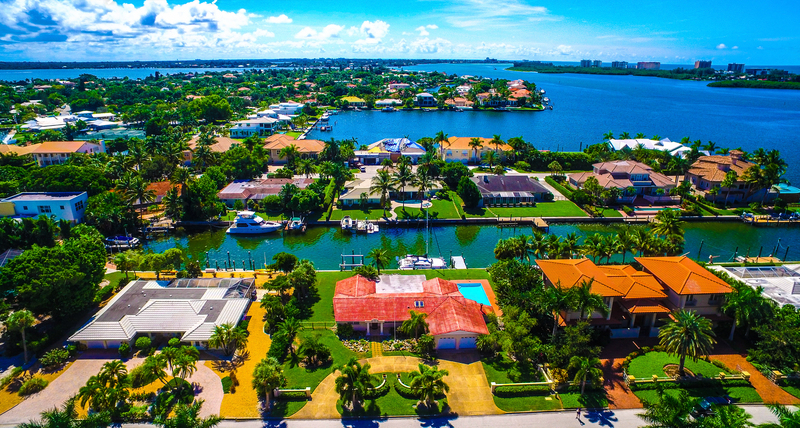 If you don’t have a home on the water that is not a problem, Bird Key also features the private Bird Key Yacht Club which has recently been completely remodeled. And You are also right down the street from the newly refurbished Sarasota Yacht Club. Please find above a complete list of all the current real estate for sale in Bird Key. View all homes for sale, updated daily with descriptions, photos and virtual tours from the Sarasota MLS system.